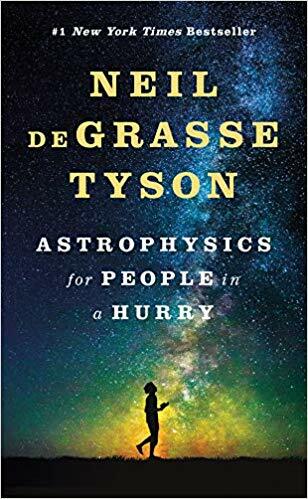 An entertaining read on science and astrophysics, but ultimately it felt a little shallow compared to books like A Brief History of Time. Shortly before, during, and after the strong and electroweak forces parted company, the universe was a seething soup of quarks, leptons, and their antimatter siblings, along with bosons, the particles that enable their interactions. The ordinary photon is a member of the boson family. The leptons most familiar to the non-physicist are the electron and perhaps the neutrino; and the most familiar quarks are . . . well, there are no familiar quarks. Quarks are quirky beasts. Unlike protons, each with an electric charge of +1, and electrons, with a charge of –1, quarks have fractional charges that come in thirds. And you’ll never catch a quark all by itself; it will always be clutching other quarks nearby. Separate the quarks enough, the rubber band snaps and the stored energy summons E = mc2 to create a new quark at each end, leaving you back where you started. What was true for quarks, and true for hadrons, had become true for electrons: eventually only one electron in a billion survives. The rest annihilate with positrons, their antimatter sidekicks, in a sea of photons. The one we call Earth formed in a kind of Goldilocks zone around the Sun, where oceans remain largely in liquid form. Had Earth been much closer to the Sun, the oceans would have evaporated. Had Earth been much farther away, the oceans would have frozen. In either case, life as we know it would not have evolved. Within the chemically rich liquid oceans, by a mechanism yet to be discovered, organic molecules transitioned to self-replicating life. The three most important are the conservation of mass and energy, the conservation of linear and angular momentum, and the conservation of electric charge. These laws are in evidence on Earth, and everywhere we have thought to look—from the domain of particle physics to the large-scale structure of the universe. In other words, after the laws of physics, everything else is opinion. As the temperature drops, particles move more and more slowly. And so right about then, when the temperature of the universe first dipped below a red-hot 3,000 degrees Kelvin, electrons slowed down just enough to be captured by passing protons, thus bringing full-fledged atoms into the world. This allowed previously harassed photons to be set free and travel on uninterrupted paths across the universe. Aided by modern detectors, and modern theories, we have probed our cosmic countryside and revealed all manner of hard-to-detect things: dwarf galaxies, runaway stars, runaway stars that explode, million-degree X-ray-emitting gas, dark matter, faint blue galaxies, ubiquitous gas clouds, super-duper high-energy charged particles, and the mysterious quantum vacuum energy. dwarf galaxies outnumber large galaxies by more than ten to one. The Milky Way engaged in at least one act of cannibalism in the last billion years, when it consumed a dwarf galaxy whose flayed remains can be seen as a stream of stars orbiting the galactic center, beyond the stars of the constellation Sagittarius. In ordinary galaxies, for every star that explodes in this way, a hundred thousand to a million do not, so isolated supernovas may betray entire populations of undetected stars. Supernovas are stars that have blown themselves to smithereens and, in the process, have temporarily (over several weeks) increased their luminosity a billion-fold, making them visible across the universe. Quasars are super-luminous galaxy cores whose light has typically been traveling for billions of years across space before reaching our telescopes. As extremely distant sources of light, they make ideal guinea pigs for the detection of intervening junk. In either case, where there is mass there is gravity. And where there is gravity there is curved space, according to Einstein’s general theory of relativity. And where space is curved it can mimic the curvature of an ordinary glass lens and alter the pathways of light that pass through. The Coma cluster, as we call it, is an isolated and richly populated ensemble of galaxies about 300 million light-years from Earth. Zwicky discovered that their average velocity had a shockingly high value. it does not contain enough visible galaxies to account for the observed speeds Zwicky measured. When we examine the Coma cluster, as Zwicky did during the 1930s, we find that its member galaxies are all moving more rapidly than the escape velocity for the cluster. The cluster should swiftly fly apart, leaving barely a trace of its beehive existence after just a few hundred million years had passed. But the cluster is more than ten billion years old, which is nearly as old as the universe itself. This halo problem exists under our noses, right in the Milky Way. From galaxy to galaxy and from cluster to cluster, the discrepancy between the mass tallied from visible objects and the objects’ mass estimated from total gravity ranges from a factor of a few up to (in some cases) a factor of many hundreds. The tally: night and day, a hundred billion neutrinos from the Sun pass through each square inch of your body, every second, without a trace of interaction with your body’s atoms. discover and to control a new force or class of forces through which their particles interact, or else dark matter particles interact via normal forces, but with staggering weakness. Dark matter seems not to interact through the strong nuclear force, so it cannot make nuclei. It hasn’t been found to interact through the weak nuclear force, something even elusive neutrinos do. It doesn’t seem to interact with the electromagnetic force, so it doesn’t make molecules and concentrate into dense balls of dark matter. Nor does it absorb or emit or reflect or scatter light. GR regards gravity as the response of a mass to the local curvature of space and time caused by some other mass or field of energy. In other words, concentrations of mass cause distortions—dimples, really—in the fabric of space and time. The most accurate measurements to date reveal dark energy as the most prominent thing in town, currently responsible for 68 percent of all the mass-energy in the universe; dark matter comprises 27 percent, with regular matter comprising a mere 5 percent. Without a doubt, Einstein’s greatest blunder was having declared that lambda was his greatest blunder. Unless contemporary astrophysicists across the galaxy keep remarkable records and bury an awesome, trillion-year time capsule, postapocaplyptic scientists will know nothing of galaxies—the principal form of organization for matter in our cosmos—and will thus be denied access to key pages from the cosmic drama that is our universe. If you had a super-duper, jumbo-gigantic finger, and you dragged it across Earth’s surface (oceans and all), Earth would feel as smooth as a cue ball. Expensive globes that portray raised portions of Earth’s landmasses to indicate mountain ranges are gross exaggerations of reality. The stars of the Milky Way galaxy trace a big, flat circle. With a diameter-to-thickness ratio of one thousand to one, our galaxy is flatter than the flattest flapjacks ever made. No, the Milky Way’s disk is not a sphere, but it probably began as one. This general flattening of objects that rotate is why Earth’s pole-to-pole diameter is smaller than its diameter at the equator. Earth carries anything on its equator at a mere 1,000 miles per hour. Consider the jumbo, fast-rotating, gaseous planet Saturn. Completing a day in just ten and a half hours, its equator revolves at 22,000 miles per hour and its pole-to-pole dimension is a full ten percent flatter than its middle, a difference noticeable even through a small amateur telescope. We use the effect of centrifugal forces on matter to offer insight into the rotation rate of extreme cosmic objects. Consider pulsars. With some rotating at upward of a thousand revolutions per second, we know that they cannot be made of household ingredients, or they would spin themselves apart. To picture a pulsar, imagine the mass of the Sun packed into a ball the size of Manhattan. If that’s hard to do, then maybe it’s easier if you imagine stuffing about a hundred million elephants into a Chapstick casing. There’s a variation of the ever-popular multiverse idea in which the multiple universes that comprise it are not separate universes entirely, but isolated, non-interacting pockets of space within one continuous fabric of space-time—like multiple ships at sea, far enough away from one another so that their circular horizons do not intersect. As far as any one ship is concerned (without further data), it’s the only ship on the ocean, yet they all share the same body of water. In this case, at least fifty bursts of these flashes emanate daily near the tops of thunderclouds, a split second before ordinary lightning bolts strike. Interplanetary space is so not-empty that Earth, during its 30 kilometer-per-second orbital journey, plows through hundreds of tons of meteors per day—most of them no larger than a grain of sand. Nearly all of them burn in Earth’s upper atmosphere, slamming into the air with so much energy that the debris vaporizes on contact. Our frail species evolved under this protective blanket. Larger, golf-ball-size meteors heat fast but unevenly, and often shatter into many smaller pieces before they vaporize. Still larger meteors singe their surface but otherwise make it all the way to the ground intact. the Moon most likely burst forth from Earth’s iron-poor crust and mantle after a glancing collision with a wayward Mars-sized protoplanet. Most of the solar system’s asteroids live and work in the main asteroid belt, a roughly flat zone between the orbits of Mars and Jupiter. The ones larger than about a kilometer across will collide with enough energy to destabilize Earth’s ecosystem and put most of Earth’s land species at risk of extinction. The Sun loses material from its surface at a rate of more than a million tons per second. We call this the “solar wind,” which takes the form of high-energy charged particles. Traveling up to a thousand miles per second, these particles stream through space and are deflected by planetary magnetic fields.